Over at The Atlantic’s CityLab, there’s a great post about how Japanese kids can run errands around town and take public transportation free of supervision. It’s thanks to the country’s incredible infrastructure and culture of safety. Broadly speaking, in Japan, folks generally assume they can depend on others. (Japan’s rock bottom crime rates back this up.) This mindset infiltrates so many aspects of Japanese life, with its infrastructure as one of the best examples. It’s one of the reasons kids as young as six navigate the human-filled labyrinth of Tokyo solo. The trains are spotless, on time, and safe. 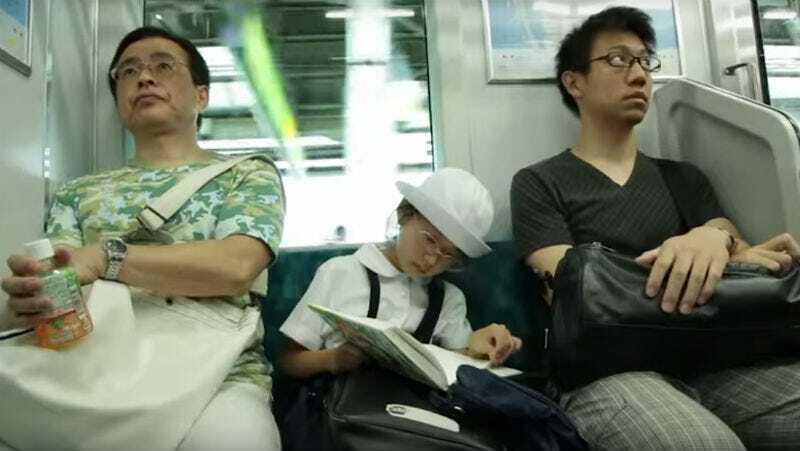 A respect for others and an attention to detail give Japan’s public transportation the best customer service on Earth. Engineering is concerned with the greater good: Japan’s world-famous bullet train, for example, sees an average delay of 36 seconds. Plus, it’s so safe that zero people were killed or injured while 27 trains were in operation during the 2011 earthquake. Part of why Japanese parents let their kids go it alone is a desire to instill a sense of responsibility, but it’s also because the country is run in such a way that it makes parents feel comfortable enough to do so. Of course, the full reason why little kids can bop around alone in Japan is incredibly complex, with tons of cultural forces that can be explained and examined. But Japan’s remarkably maintained infrastructure is a big part of it. Public transportation has been made a top priority in the densely packed archipelago—something many other countries could learn from.